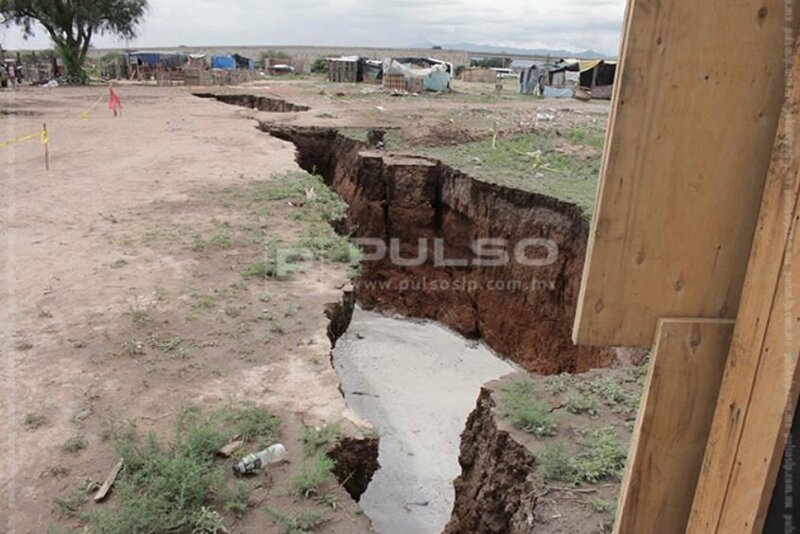 There is currently a huge crack growing in the area of Milpillas, that has already swallowed up parts of a street and a few houses in the north. Geologists say the ground is very unstable and the fissure is still widening. The Ministry of National Defense activated the DN-III Plan. And the monster crack is growing in size every hours. 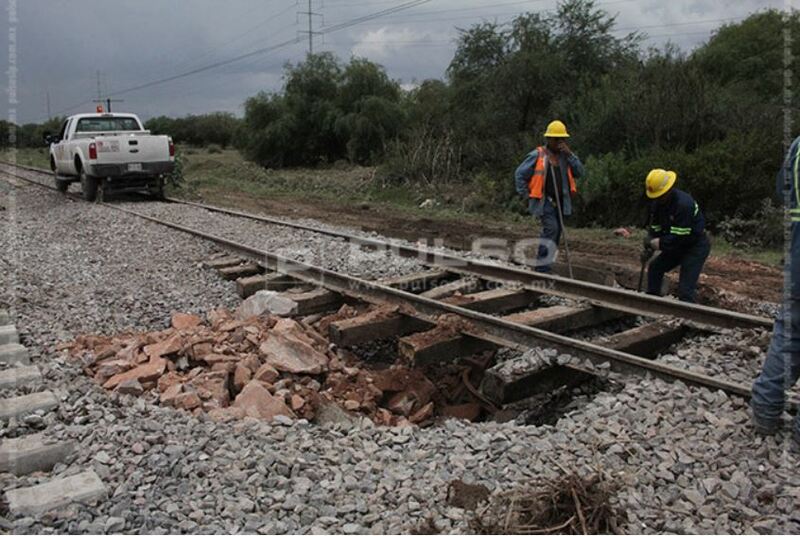 The growing crack has already destroyed some houses and has aloso opened up under the railway tracks that could lead to derailment. 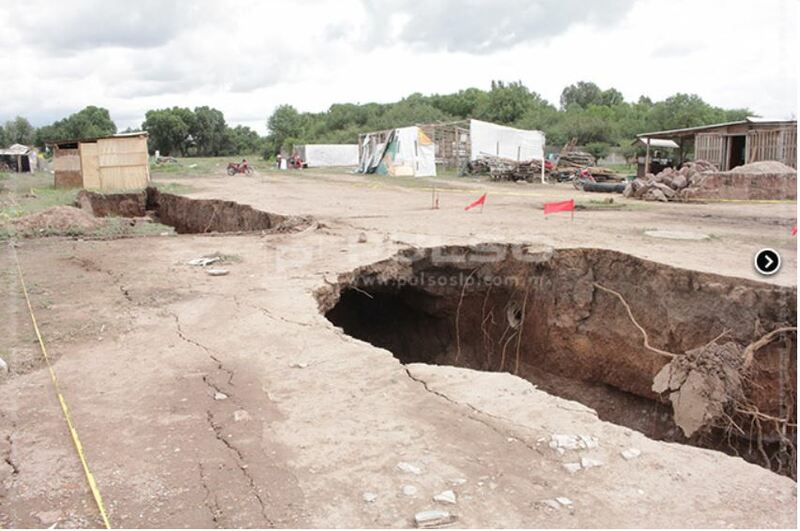 The fissure has already destroyed homes and swallowed up a street. 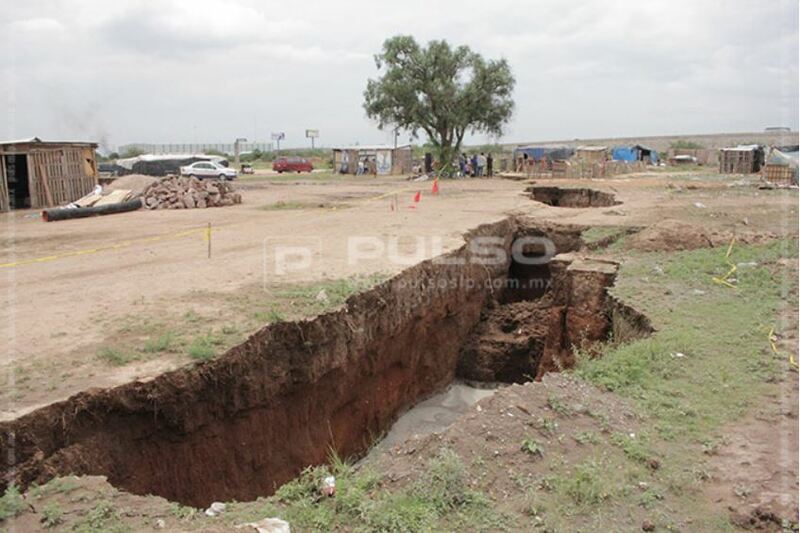 Heavy rains on Thursday are probably responsible for the long fissure. 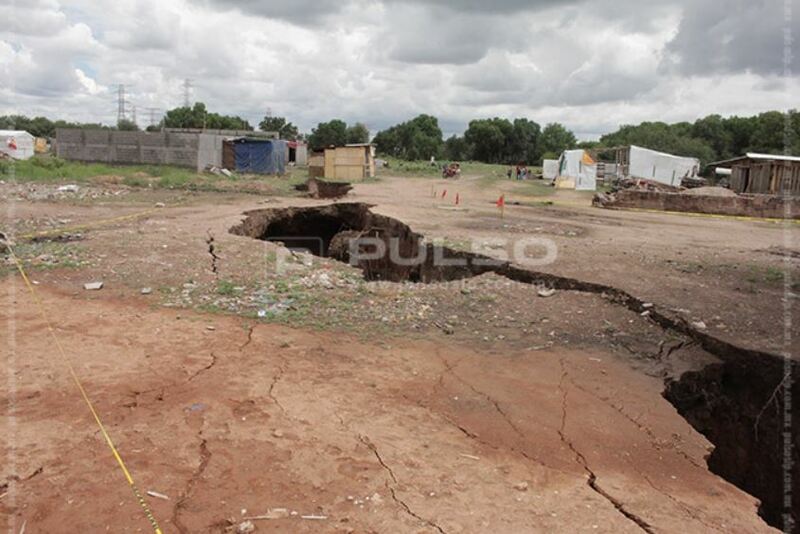 The Earth crack opened up after heavy rains in Mexico. People who lost their homes have been relocated in temporary shelters. 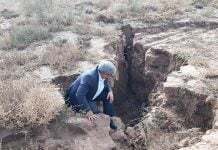 A geologist has even suggested to evacuate all residents to a more remote area, since the ground is totally unstable. The large Earth fissure has also opened up train tracks and may lead to derailments. The Plan DN-III has been activated by the Ministry of National Defense of Mexico. 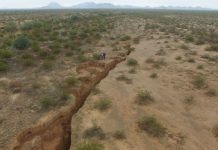 Large crack opens up in Milpillas, Mexico on June 28, 2018. I don’t know why I cannot find any lightning strikes around my area (Tuscumbia, Alabama). I witnessed many lightning strikes where I live. It was quite fun to see those thunderbolts hitting Reptilian Secret Underground Bases, or Reptilian Colonized Area. Their underground bases are everywhere including a small town Cherokee. Some alien looking black guy told me that there is an entrance to their underground base from downtown Cherokee, Alabama. He explored their secret underground tunnel 7 miles from the entrance. Starting from 2:33, you can see a strange smoke coming out of the yard of a reptilian mansion. I do not see any fire at all. It looks like the smoke coming out of the underground. Reptilian secret underground base was burnt down when they had flood? Heavy downpours and gale force winds have resulted in flash flooding across large parts of Cape Town. Lower-lying areas have been hardest hit as an intense cold front makes landfall in the Mother City. The collapse of Kilauea crater resulted losing parking lot and GPS station. The Met Office has issued its first weather warning for a thunderstorm in its 164-year history, after days of sweltering temperatures. Sunday’s warning said storms could develop in south Wales and south-west England throughout the day.